Since sight is one of the senses that people use every day when there are problems with their eyes it can have a debilitating effect on their lives. In addition to vision problems, there are many diseases and disorders that can affect the eye. Ongoing ocular clinical studies are always learning more about how the eyes work and how we can best treat them. If you have been diagnosed with an ocular disorder (also known as a retinal disorder) please review the list of current ocular clinical trials. Ocular is a term that describes the science and medicine that studies the human eye. This includes disorders of the eye and its many parts, such as the eyelids, cornea, lens, and retina. 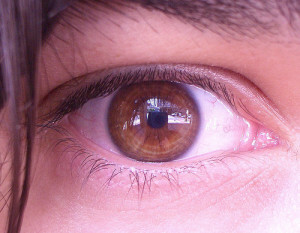 Ocular disorders can be either inherited or acquired. The area of the eye that they affect is generally what is used to classify ocular disorders. Treating ocular disorders depends on the type and severity of the ailment. There are many over the counter medications available that people can use to self medicate. These include artificial tears (eye drops), ointments, eyewashes, hyperostosis, decongestants, and antihistamines. Irritations of the eye are sometimes caused by known factors such as allergies. If the symptoms experienced include pressure in the eye or things start happening that have not happened before then the patient should see their doctor for ocular treatment. Common disorders treated by a doctor include trauma, cuts and burns to the eye, keratitis, corneal swelling, and uvetis.